We're less than two weeks away from our house closing, and we are so excited! They're finishing up all the little details, and we're enjoying walking around the neighborhood seeing all the progress around the area. You know it's summer in Charleston when the afternoon storms start rolling in afternoon. At least they make for a pretty photo. Meet Gus! 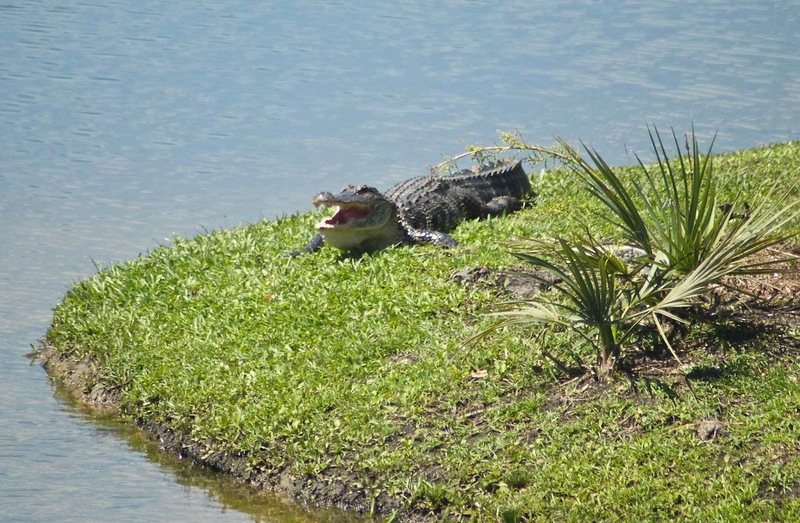 We have a new resident alligator at our apartment complex. He's fantastic!! We've been trying to make a few new recipes here and there. We did pulled pork last weekend, and Ree Drummond's Lobster Mac and Cheese the week before that. We saw it on an episode of Pioneer Woman one morning and HAD TO MAKE IT. The one tweak we made was using cream cheese instead of goat cheese, and it was AMAZING. We even paired it with the lemon broccolini she makes as a side dish on the show. I just finished my latest Blogging for Books read: Southern Spirits. The description is, "four hundred years of drinking in the American South, with recipes," and it definitely lived up to all expectations. Honestly, I'm a history nerd, so this book was perfect for me. Plus, having now only spent two years in the South, it was really interesting to learn so much history of the area in terms of alcohol. There is so much history down here, and so much of the story of the South can be traced to the drinking culture. My husband is now reading this book and is loving it as much as I did. I would say that the best part is that it does not read as a textbook, but instead, with the help of recipes every few pages (many of which I have placed sticky notes on to try this summer) and Moss's humor, it's an easy read! 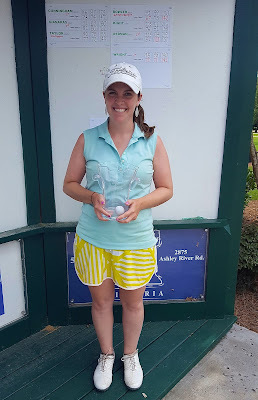 I played in my club championship last weekend .... and won! 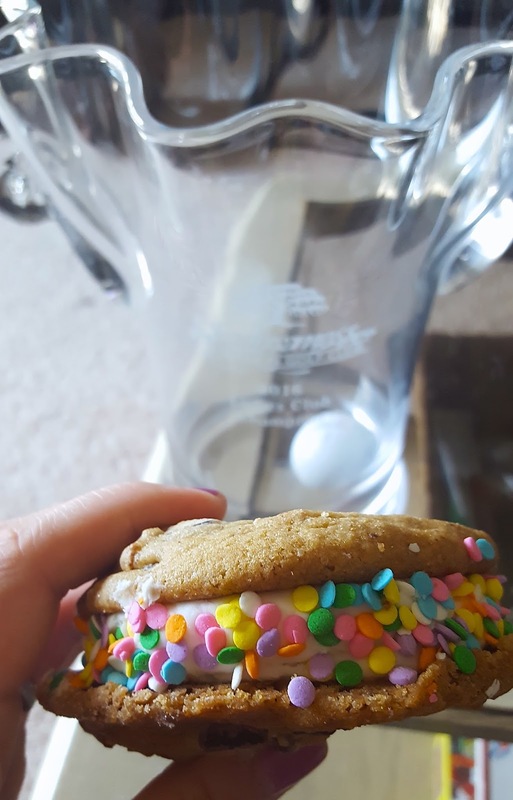 You know we celebrated with Bud Light limes at the pool and these delicious cookie sandwiches. These girls. Nothing new to say about them, but this photo is killing me with cuteness. 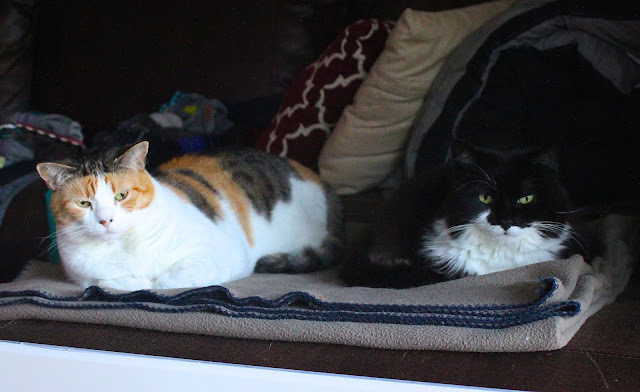 I'm so excited for them to have more space (and porches to spend time outside) in a couple weeks! Last, but not least, did you enter my giveaway going on this week? 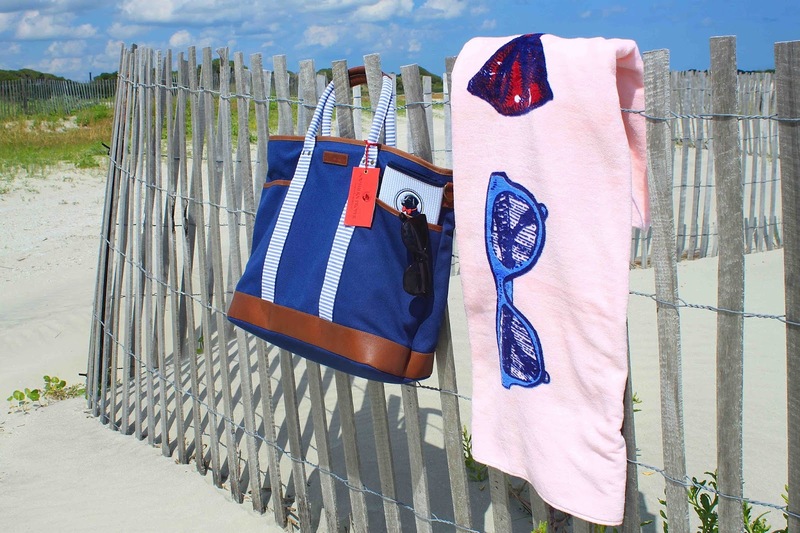 Just in time for beach season, I'm giving away a whole bag of goodies from Southern Proper! Yay for being so close to closing! I remember that exciting feeling, and I can imagine it's even stronger since you've gotten to watch it all be put together! Can't wait for all of the home updates coming!! 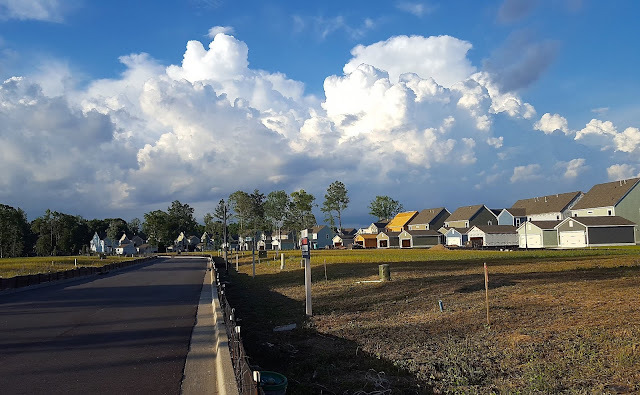 Your neighborhood looks like the one I've always wanted to live in! SO exciting that you'll be starting July living in your home! I loooove when summer storms roll in! The clouds, the gorgeous sunsets, the warm air... well, you know, until it rains. But I'll take it up until that point! Wow less than 2 weeks until closing?! Gosh that went by quickly. I am so excited for you guys. Woohoo for almost closing on that house, so exciting!!! Congrats on winning your championship, looks like you know the perfect way to celebrate! Enjoy your weekend! I loove the Pioneer Woman recipes. So excited for you only two more weeks!! Congrats on winning! You deserved that amazing cookie! Beautiful photo of the storm, so exciting about the house! Have a great weekend. I love lobster, I love mac & cheese, I have been wanting lobster mac for FOREVER, yet I've never had it. Recipe pinned! Yum! 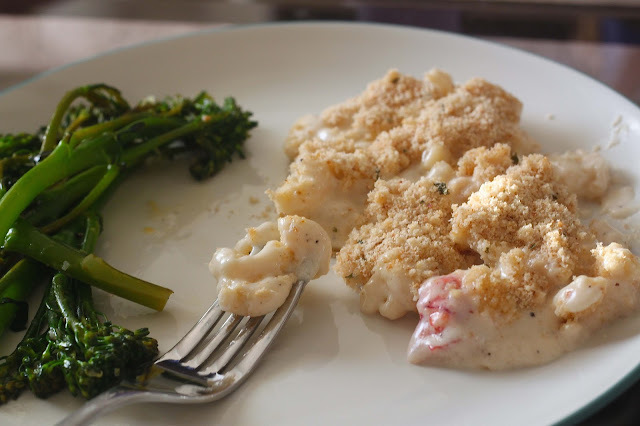 The lobster Mac & cheese has my mouth watering :) Heading over to the giveaway now! Excited for you to get into your house! It will be amazing! Looks like a fun week with awesome weather! You have me convinced to make #2!! I have heard it was amazing--I mean, how can I doubt Ree? Congrats on winning your championship!! WOO HOO! I hope you celebrated! So exciting on your house and winning your championship!!! You're going to have to give me a golf lesson (or 50) sometime soon! Can't wait to catch up and read your Southern Proper post!